Kempsey Shire Council has been successful in receiving a further grant to aid in the control effort against the noxious weed Tropical Soda Apple on Crown Lands. The grant, which was received from the NSW Government’s Crown Reserve Improvement Fund, will be directed towards the eradication of Tropical Soda Apple on Crown Land Reserves along the Macleay River from Kempsey to Comara. 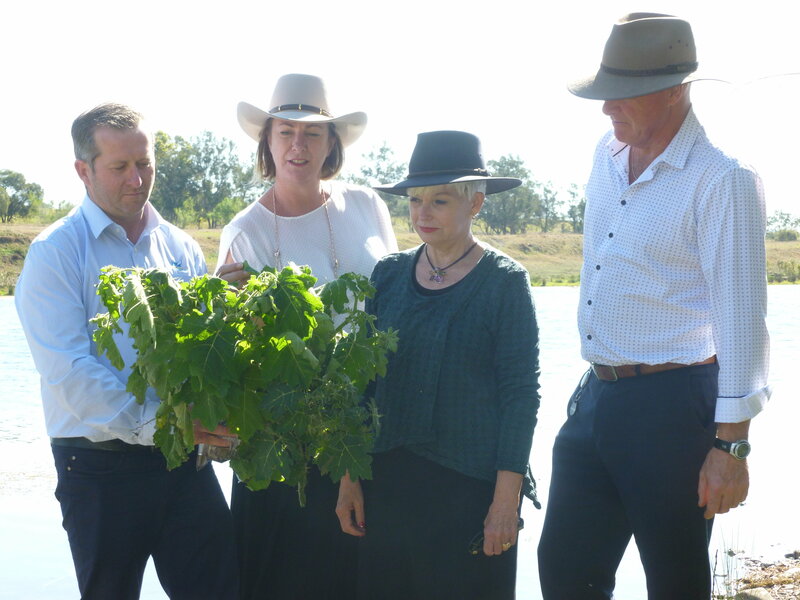 The Member for Oxley, Melinda Pavey, says managing Tropical Soda Apple is a priority. “This State Priority weed must be eliminated for the sake of our farm sector; it is a one of the most serious weeds in Australia, having a Biosecurity Control Order placed on it, we must all work to remove it from our region. “This grant of $46,275 is squarely aimed at assisting the overall effort,” said Mrs Pavey. Kempsey Shire Mayor, Liz Campbell, welcomed the funding as part of its Shire-wide campaign to eradicate Tropical Soda Apple. “This funding will greatly assist Crown Lands and our efforts to support local farmers and landholders for the control of TSA on priority lands,” said Cr Campbell. Tropical Soda Apple is an aggressive, prickly perennial shrub, one metre to two metres high, and it will continue to spread without ongoing vigilance and control measures. After germination it can reach flowering stage in only one month and plants often produce in excess of 45,000 seeds. Tropical Soda Apple can be spread by floodwaters but the main way in which it is distributed is by contaminated cattle which have eaten the fruit. Council has also been successful in an application for $22,000 to employ weed contractors to control Cockspur Coral Trees, Bitou Bush, Groundsel Bush, Lantana and weedy species on coastal Crown Lands, along with aerial spraying to control heavy Bitou Bush infestations.